The Justice Policy Institute has a special position in the social justice world in that we address adult criminal justice issues, in addition to juvenile justice issues. Our research runs the gamut, analyzing data to understand racial disparity in the adult and juvenile systems, commenting on upticks in incarceration, and making connections to policies and practices that affect incarceration rates and trends. Recently, our reports like "Common Ground," addressing the recent trend in the reduction of juvenile confinement reform across the U.S., and our series on Washington, D.C. youth, have kept us grounded in juvenile justice -- an area that advocates and the general public are increasingly gravitated towards in an effort to eliminate the school-to-prison pipeline. With Attorney General Eric Holder's announcement Tuesday that the Justice Department will prioritize fixing a "broken" justice system, advocates, policymakers and practitioners, are propelled to continue reform work. And now, the icing on the cake is that there’s a new resource out there to help advocates, policymakers, and practitioners make communities safer and improve outcomes for youth. The John D. and Catherine T. MacArthur Foundation today announced the launch of the new Models for Change Resource Center Partnership. As a part of the partnership, four new Resource Centers will be available to help provide judges, prosecutors, defenders, policymakers, advocates, probation officers, and mental health and social service agencies with much needed technical assistance, trainings, tools, and resources to help advance juvenile justice reform across the country. Over the last decade, there have been juvenile justice reform efforts in 35 states. Much of this work is grounded in the seminal research funded by the foundation that showed that adolescents are fundamentally different from adults, and that treating juvenile offenders as adults, relying on incarceration, and failing to commit resources to rehabilitation and treatment is expensive, jeopardizes public safety, and compromises future life chances for young people in contact with the law. The partnership presents an exciting opportunity for many of us working in juvenile justice to build on this work and be a part of a positive wave of change for kids, their families, and their communities. 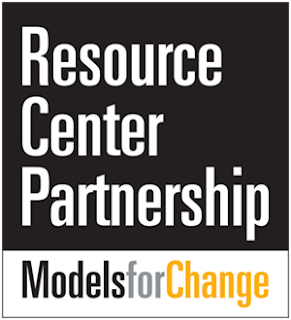 The Robert F. Kennedy National Resource Center for Juvenile Justice, focusing on coordination of practices and policies for youth involved in both the juvenile justice and child welfare systems, and enhancement of probation system practices. "The Times, They Are a-Changin'"